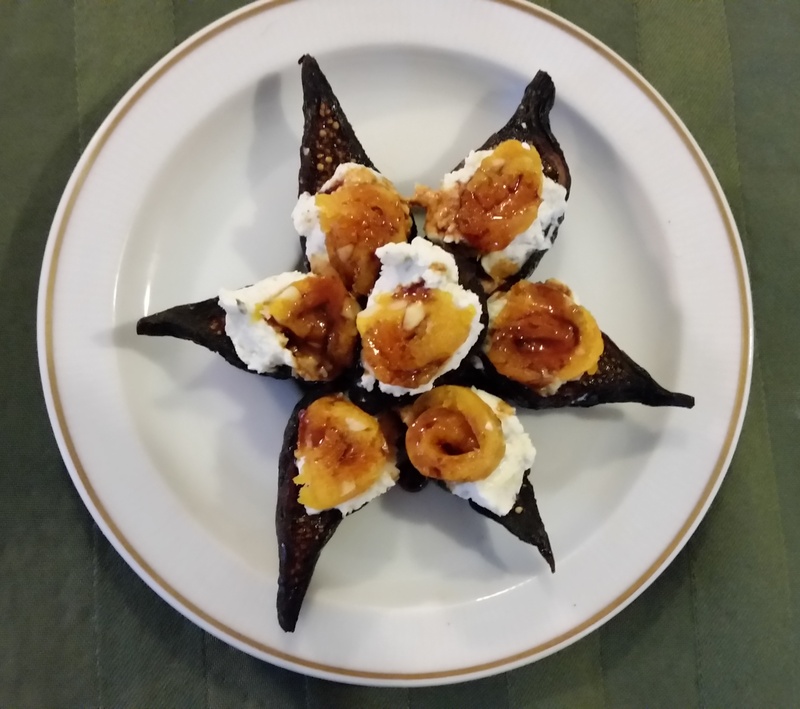 Figs with Goat Cheese and Apricot Tapas « Great Lakes International Trading, Inc.
Slice dried figs in half lengthwise. Place a dollop of goat cheese on each half. Slice across the apricot and almond tapa making thin (approx.. 1/8 inch thick) slices. Roll up and cut into individual “rosettes”. Place rosettes on the goat cheese. Arrange in a star shape on a plate and serve.